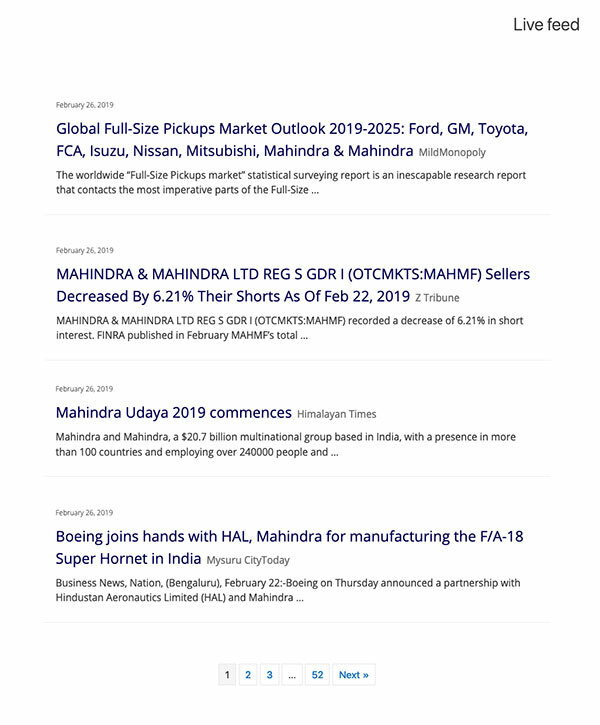 Monitor your business news, brand stories, industry news or competitor's news with a live news feed that provides you stories, as it happens, straight into your dashboard. Don't miss any news, be it New York Times, Times of India or Himalayan Times. Dive deeper with alerts from focused media, journals and blogs. Easily search through all your historical news as you keep building your news repository.